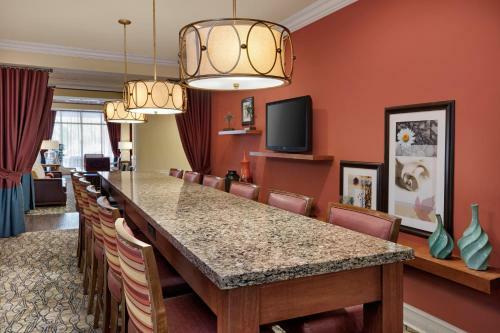 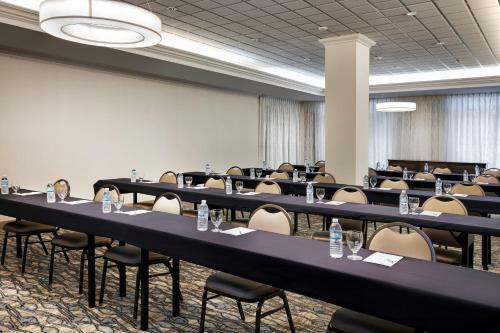 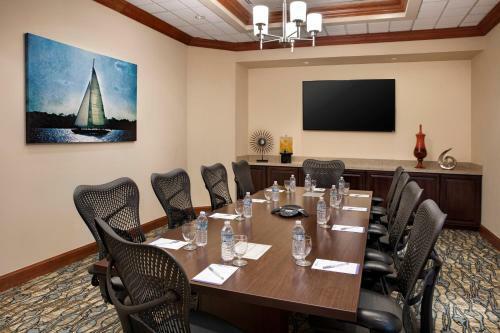 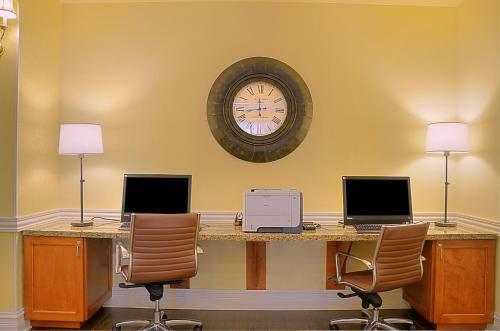 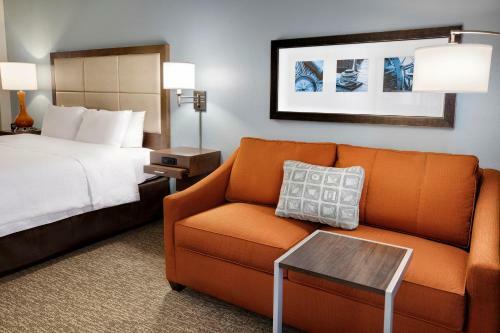 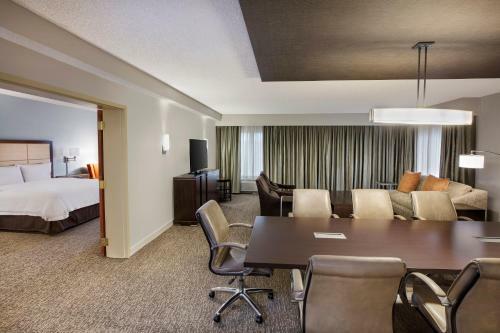 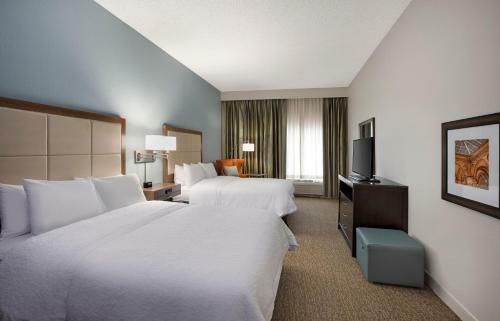 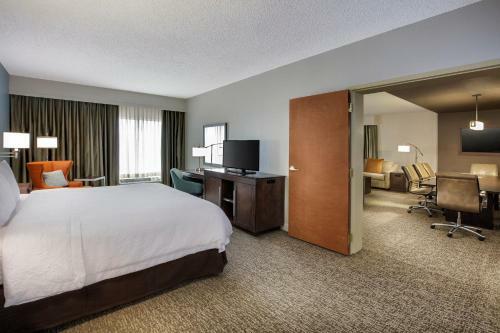 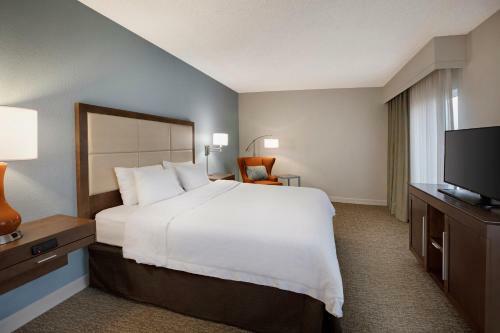 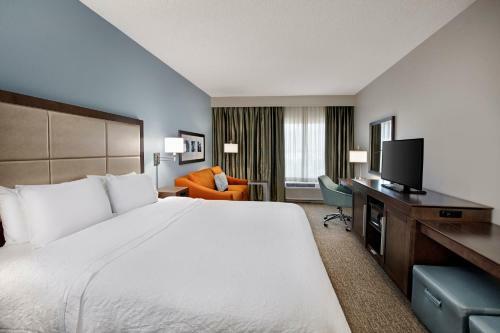 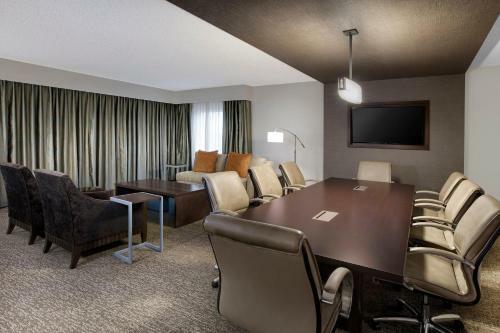 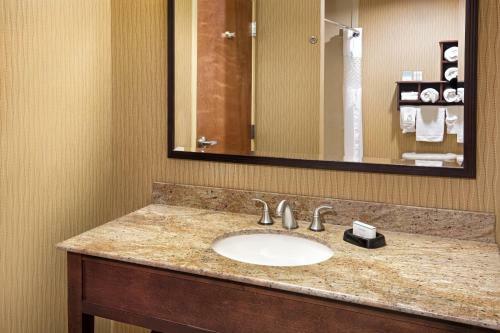 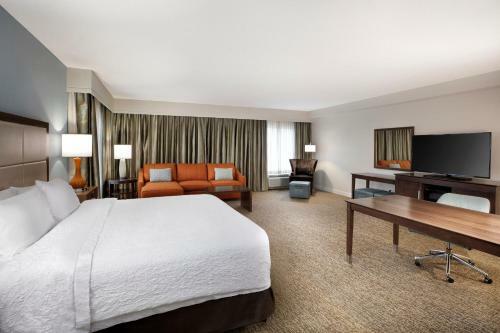 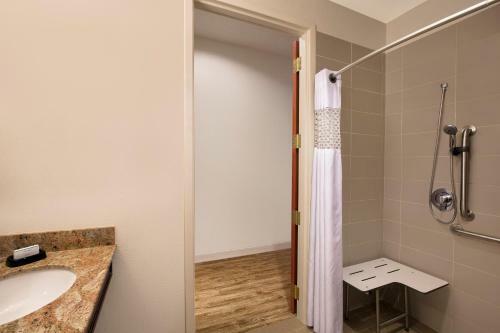 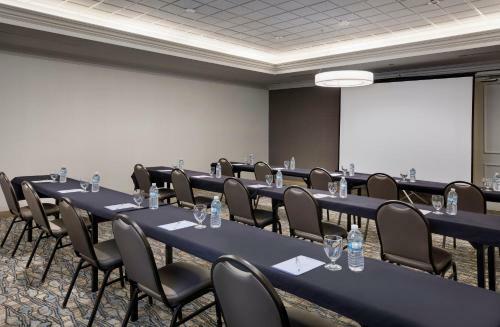 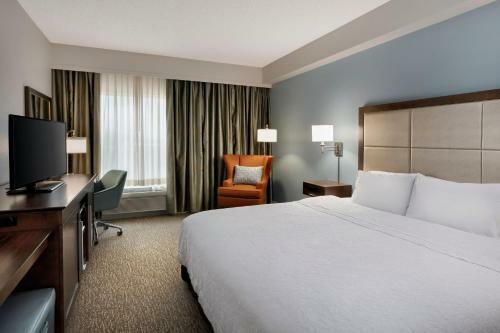 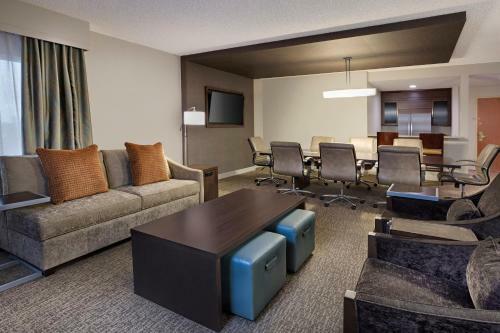 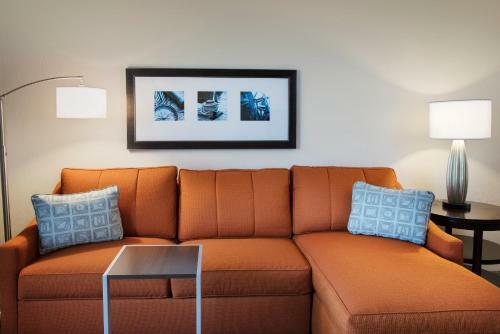 Featuring free airport shuttle service to Palm Beach International Airport, this hotel is located near popular attractions, including the Palm Beach Convention Center and provides many of today's modern conveniences. 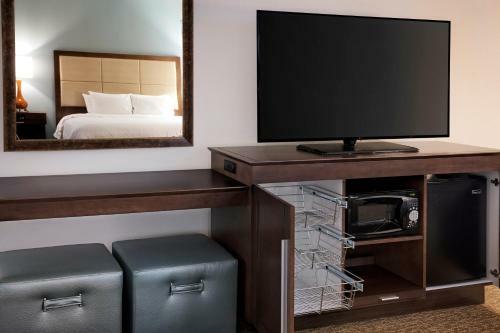 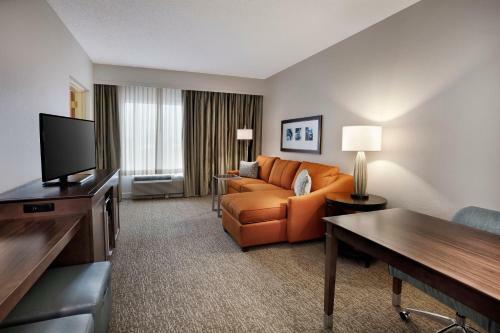 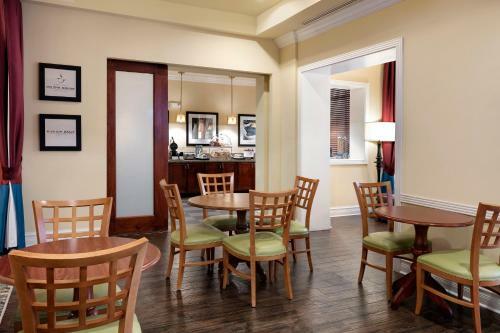 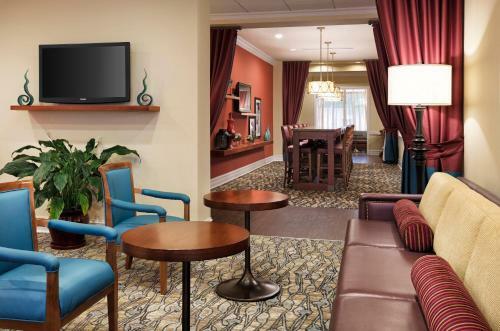 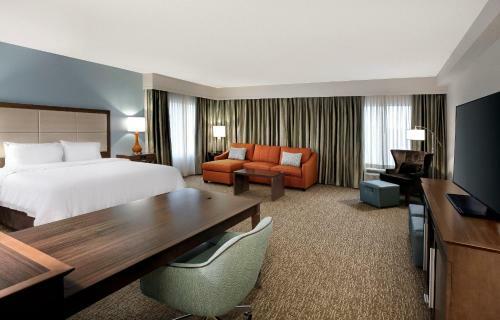 Rooms provide free WiFi and flat-screen cable TVs. 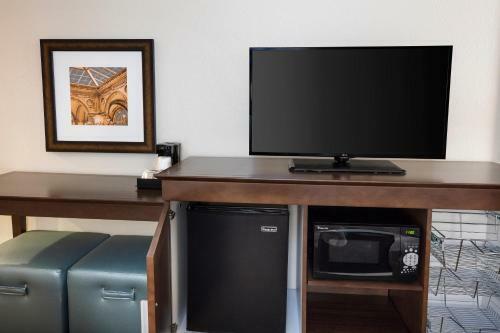 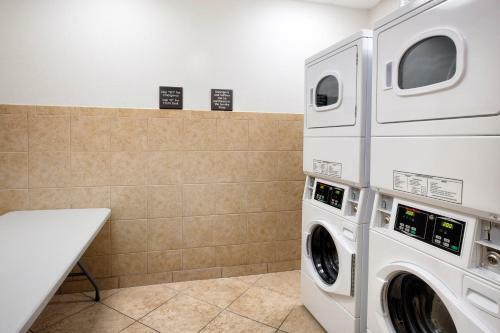 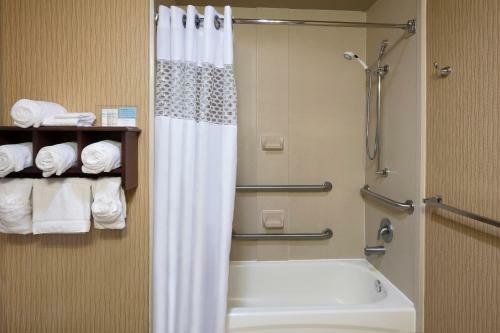 Select rooms include a microwave and small refrigerator for added convenience. 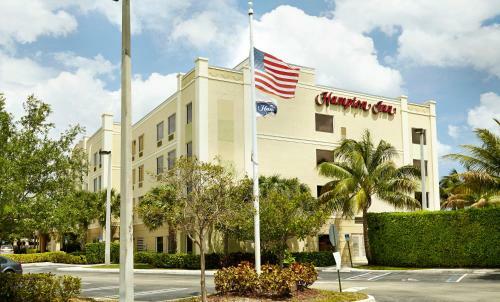 Only minutes from the Hampton Inn West Palm Beach Central Airport are miles of pristine beaches, luxurious mansions and world-renowned restaurants. 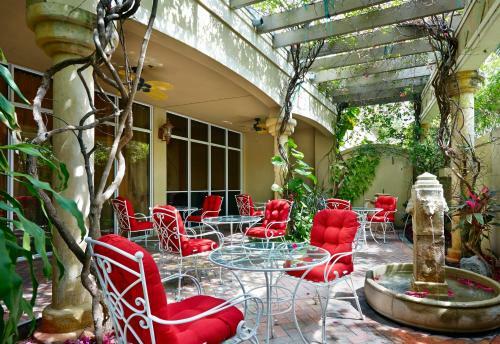 Clematis Street, famous for an exciting nightlife, and Norton Museum of Art are within 3.8 kilometres' drive. 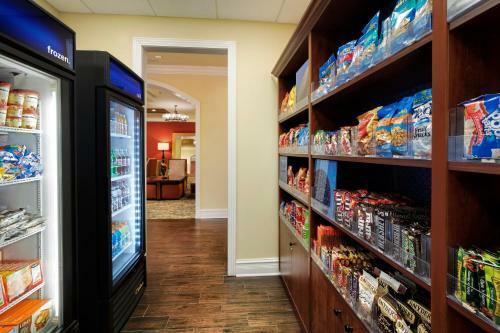 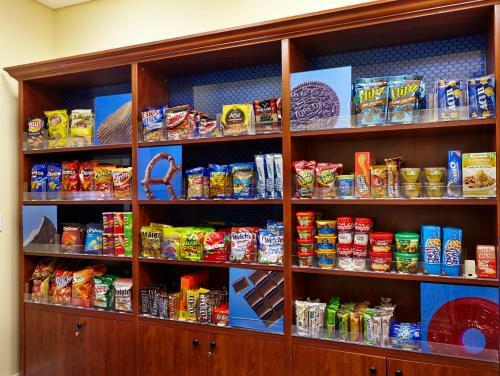 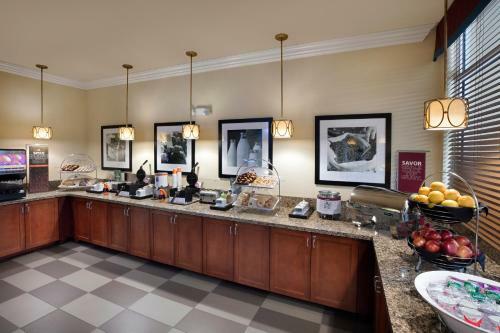 The West Palm Beach Central Airport Hampton Inn also provides a free daily hot breakfast as well as free daily newspapers. 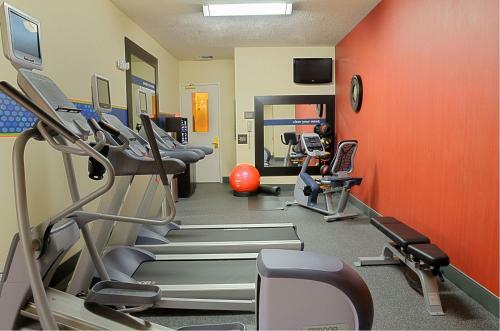 Guests can also enjoy the on-site swimming pool and fitness center. 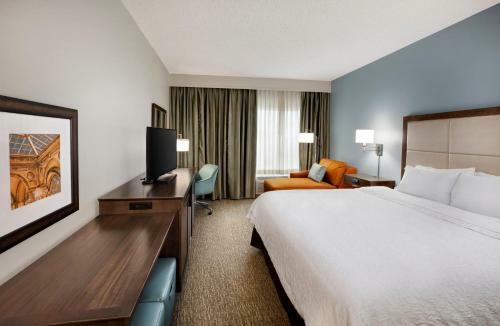 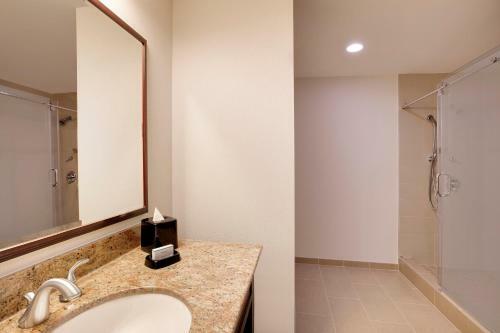 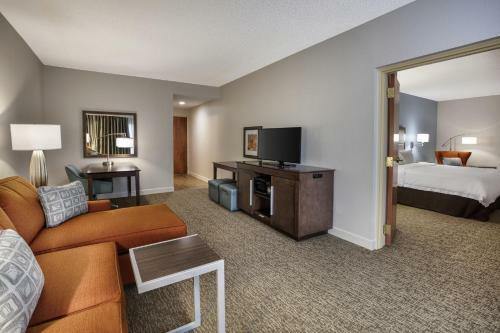 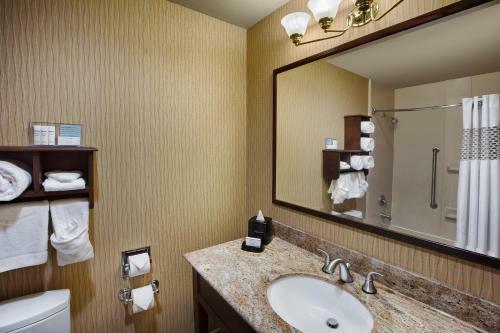 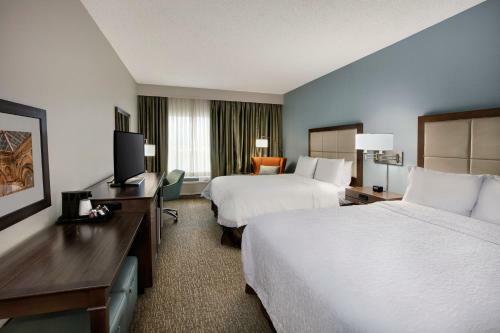 the hotel Hampton Inn West Palm Beach Central Airport so we can give you detailed rates for the rooms in the desired period.